Includes a double coat hook in each compartment and supplied with hasp lock (padlock not included). All include a sloping top to prevent clutter on top of lockers. 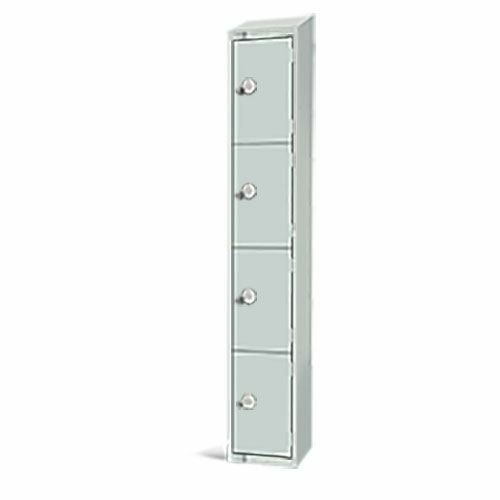 Lockers are available in a choice of colours with an antibacterial powder coating finish. Hasp lock requires 40mm Padlock - please see the Accessory tab for our recommended items. 4 door antibacterial locker ideal for any working environment, schools or gyms.